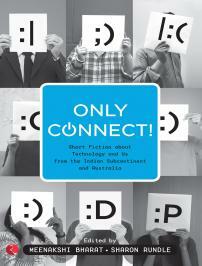 ONLY CONNECT: Stories about Technology and Us from Australia and the Indian subcontinent. Meenakshi Bharat & Sharon Rundle bring you another exciting volume of Short Stories from Australia and the Indian subcontinent. 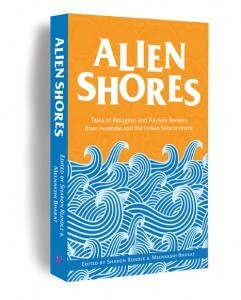 Short Stories from Australia and the Indian subcontinent. Professional Member of Society of Editors (NSW) and Institute of Professional Editors (IPED) - please see IPED Directory. 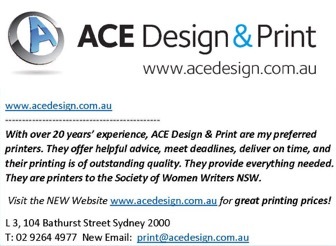 Society of Women Writers NSW Inc. Chair of University of Technology Sydney Writers' Alumni. Writing Fellow, Fellowship of Australian Writers. Founding Member of Asia-Pacific Writing Partnership. Life Member of Indian Association for the Study of Australia. South Asian Diaspora International Researchers� Network; South Asian-Australian Writers' Network, Nottingham Trent University Alumni, UTS Alumni and British Council Alumni. Doctor of Creative Arts, Bachelor of Education. 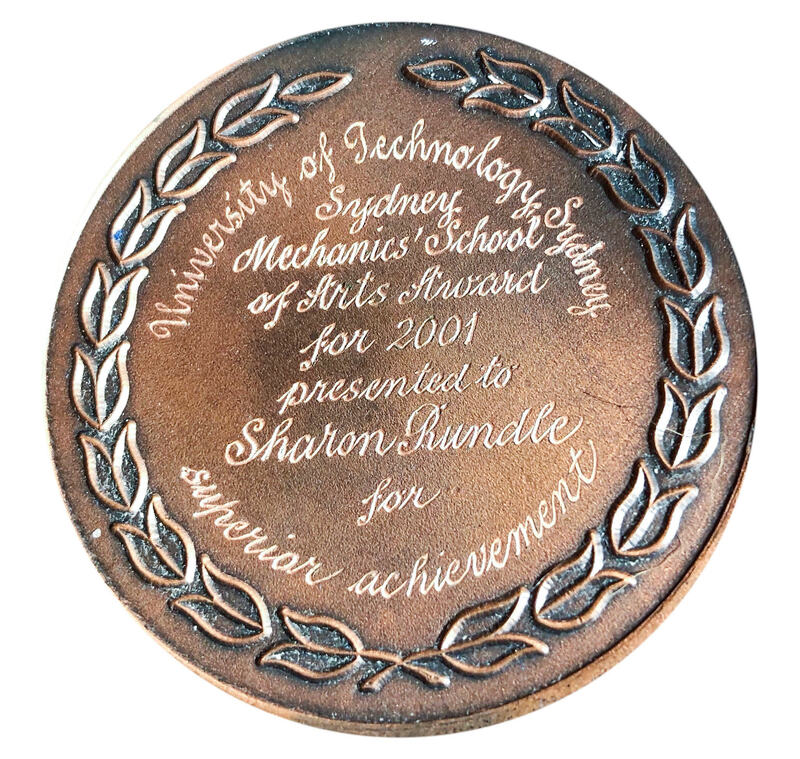 UTS Alumni Award for Excellence 2010, UTS Faculty of Education SMSA Medallion and Prize, Commonwealth Foundation Short Story Prize. Editor of Only Connect; Alien Shores; Fear Factor Terror Incognito. The Society of Women Writers NSW Inc.Women's Ink! ; UTS Writers Connect. editing, assessment and mentoring for authors. Editing and proofreading for Academic Thesis. In the works: Our latest anthology "An Old Resentful Slipper" with stories from Australia and the Indian subcontinent. 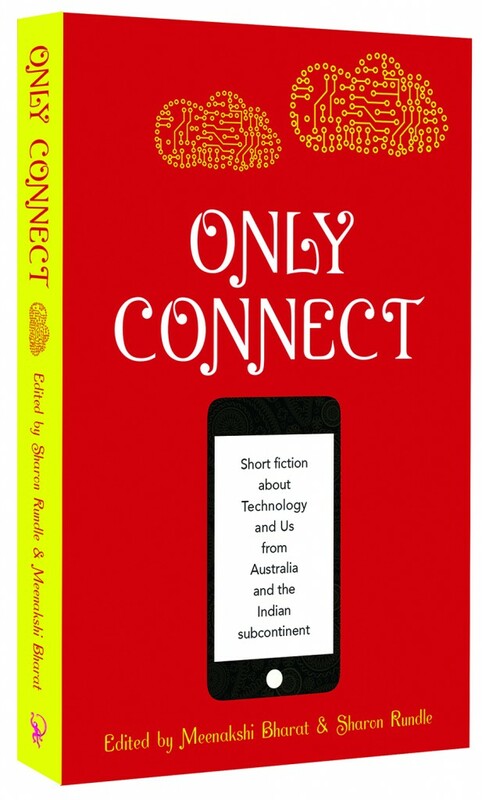 brings you ONLY CONNECT: Stories about Technology and Us from Australia and the Indian subcontinent. Editors Meenakshi Bharat and Sharon Rundle bring you our third exciting volume of Short Stories from Australia and the Indian subcontinent, in which eminent authors including Anita Heiss, Malik Sajad, Sujata Sankranti, Anu Kumar, Neelum Saran Gour, Annie Zaidi, Kiran Nagarkar, Felicity Pulman, Sunil Badami, Roanna Gonsalves, Bem Le Hunte, Sophie Masson, Chandani Lokuge, Yasmine Gooneratne, Devika Brendon, Manisha Jolie Amin, Julia Mackay-Koelen, Janhavi Acharekar, Meenakshi Bharat and Mridula Koshy explore the theme of technology, communications and us. Humour, crime, tragedy and misunderstandings find their way into these marvellous stories that reflect how technology has changed our lives. A foreword by Susanne Gervay gives an insight into the ways in which technology has impacted on all our lives whether we like it or not, whether we intend it or not. As always, our contributing authors have created diverse and fascinating narratives on this salient topic. in the Sydney Morning Herald, 'Spectrum Books', 'In Short Fiction'. May 30, 2014. SBS Hindi Interview with Sharon Rundle and Meenakshi Bharat, editors of 'Only Connect'. Meenakshi Bharat and Sharon Rundle bring you another exciting volume of Short Stories from Australia and the Indian subcontinent, in which eminent authors explore the theme of refugees and asylum seekers. A variety of perspectives takes this volume of short fiction into some surprising new territory. From the moving to the shocking, these tales will linger in the reader's mind. Published by Brass Monkey Books. Review and photos of Launches for Alien Shores. Australian edition published by Pan Macmillan Picador Australia, March 2010. "In English and in English translation, uttered in many different voices like so many rockets launched from different points of a devastated landscape, there rises from the pages of this astonishing book the sound that today drowns every other concern in all but the most remote and isolated parts of the earth . . . The writers in the Bharat/Rundle anthology do not offer solutions. Instead, they lead readers along the hidden paths of an unfamiliar psychology to make their own discoveries." 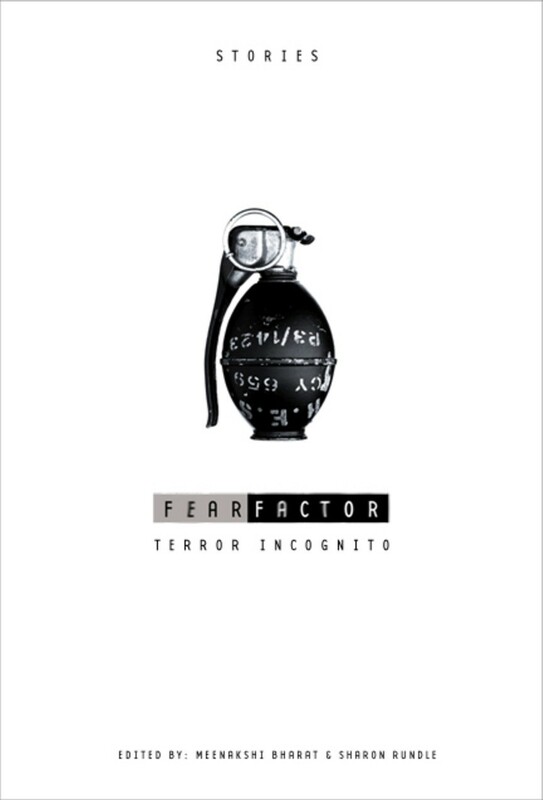 Fear Factor Terror Incognito Indian Reviews and Media comments. Eltham Bookshop Literature Festival "World Matters" - Writers Disturbing The Peace. Montsalvat. Sharon is supported through the Australia-India Council which is part of the Department of Foreign Affairs and Trade. 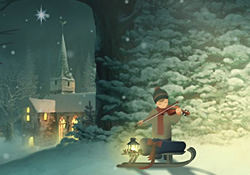 and Copyright Agency Limited Cultural Fund. 'Since my father retired he has been roped into helping with his wife's good works. Laying up treasures in heaven, as she calls it. After dinner she's a whirlwind in the kitchen, making cakes and tarts and biscuits for the old people. The rich smell of pastry and cooked fruit sends sweet messages to my stomach and I burn my tongue on a jam tart. "Don't feel you have to wash up, dear," she says. "Just because I've been up to my elbows on my feet all day."' Quiet but deadly." Peter Bishop, Director of Varuna The Writers' House. 'In her stories, 'The Price Tag' and 'The Crown', Sharon Rundle deals with the all too common family fallings out over an inheritance. In the first story, however, the tone is largely comic, while the second is full of tension and violence." "Follow your inner moonlight; don't hide the madness", Allen Ginsberg. "The best way to predict the future is to invent it", Alan Kay.